For the sake of completeness I feel that I should provide directions to one other “slipway” on the Cape Peninsula, suitable for small craft launching. 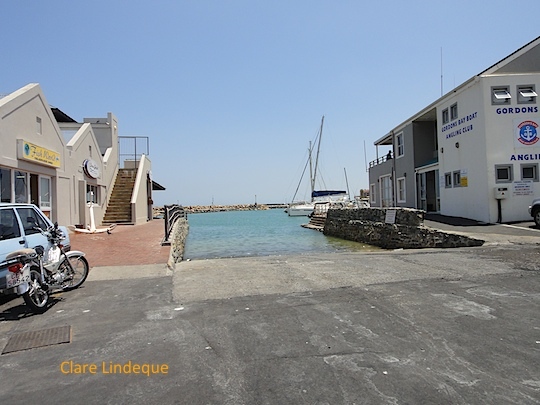 Kommetjie Boat Club has a large, spacious paved parking area for vehicles and trailers, but the slipway isn’t tarred. Only boats samller than 5.5 metres can launch here. You must drive your boat onto the beach, launch it, turn the car around on the beach to drive it off, and turn the boat around in the small launching basin in order to drive it out of a narrow channel bounded by rocks and kelp. 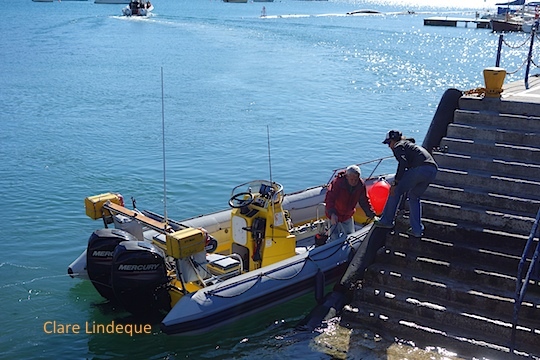 It isn’t suitable for launching at low tides, and as there is nowhere to tie the boat up, one needs an assistant in the vehicle to handle that side of things. However, during crayfish season this is an extremely popular launch site. If you plan to launch there out of season you need to call first so that someone can open the boom for you. If you have a GPS, put in the intersection of Beach Road and Van der Horst Avenue, Kommetjie. The parking for the boat club is right there. From Cape Town, this would entail driving all the way to the end of the M3 and then over Ou Kaapse Weg. 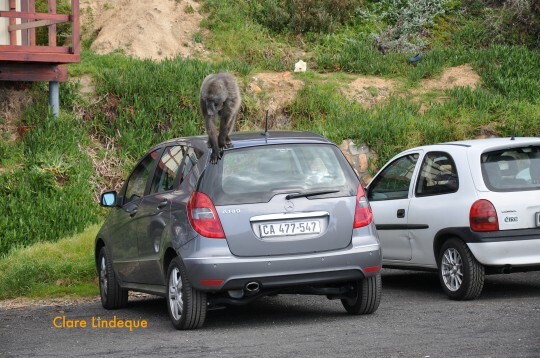 From Hout Bay, come along Chapmans Peak Drive and continue straight until a stop street at the bottom of Ou Kaapse Weg. Turn right here. At the bottom of Ou Kaapse Weg go through the first traffic light (labelled Sun Valley), unless you’re planning to come and visit us. At the next traffic light, turn right into Kommetjie Road. Follow it until it curves south, and at the convenience store turn right into Van Imhoff Way. Van Imhoff becomes Beach Road – follow it to the right. Drive past Die Kom and soon on your left you will see the parking area for the launch site. Here’s a map showing the parking area, and just above it the beach that you launch from. The channel to get to the open sea is visible leading off the beach, as are vehicle tracks on the beach. 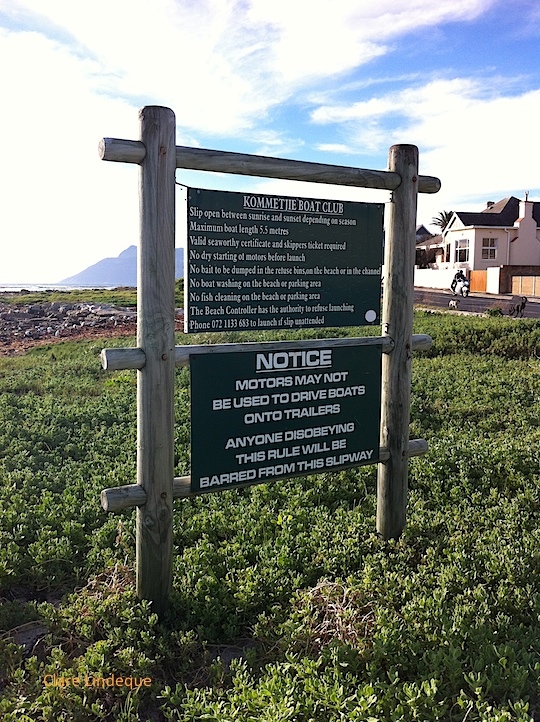 There’s a little bit of information about the history of the Kommetjie Boat Club on this page, two thirds of the way down. We upgraded the sign on our gate. Now we’re easier to find! 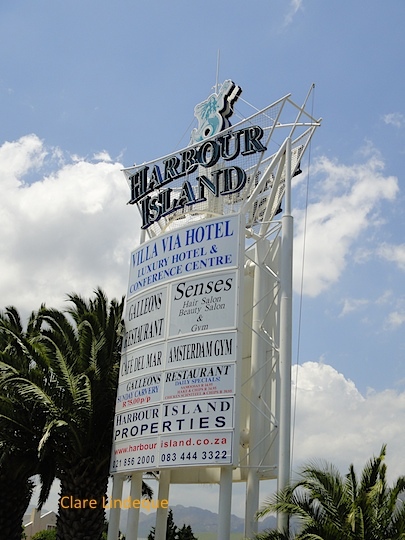 Harbour Island is where you’ll typically go to launch to dive the eastern side of False Bay by boat. There is a slipway right next to the Gordon’s Bay Boat Angling Club, with perhaps the best-placed Ocean Basket franchise in Cape Town on the opposite side. I’m not going to type out directions, but you can see that the marina lies on Gordon’s Bay Drive, which is the main drag through Gordon’s Bay. It’s a few minutes’ drive from Indigo Scuba. 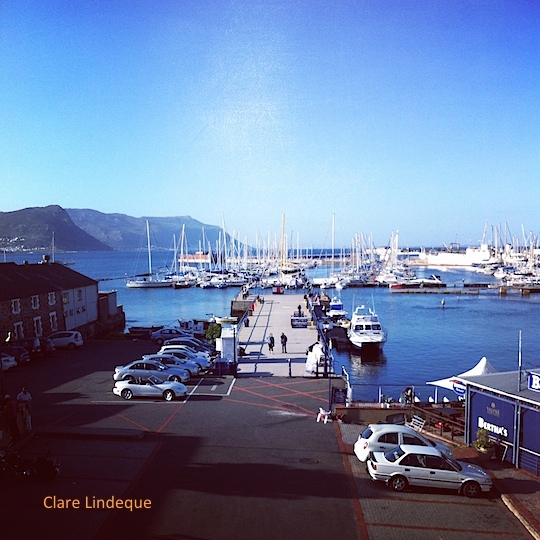 The old Gordon’s Bay harbour and the Gordon’s Bay Yacht Club, where there is also a slipway, is further around the coast, in an easterly direction (on the far side of Bikini Beach). 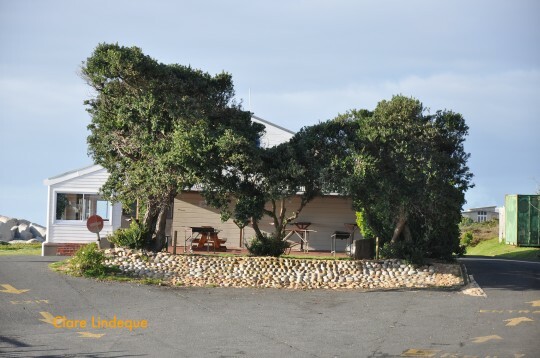 Should you ever wish to go to False Bay Underwater Club (FBUC), which is one of the dive clubs in the southern suburbs of Cape Town, here’s how to get there. 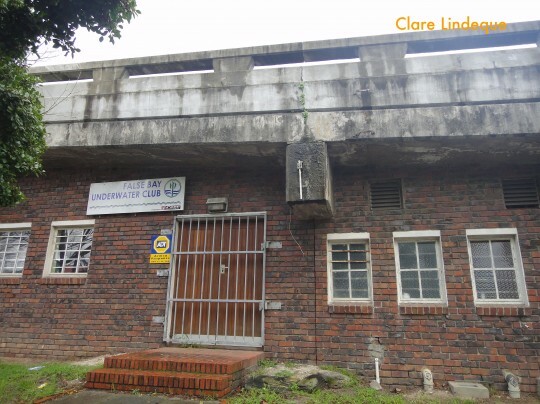 The club is located in Belper Road, Kenilworth, under the Wetton Road bridge that crosses the railway line near Wynberg station. Drive up Belper road until just before the end. On your right you will see a white landrover (and perhaps some other cars) in a seriously dodgy parking area with some trees. FBUC is located right behind this parking area, under the bridge. There’s a FBUC sign above the entrance. Get onto the main road, and at Maynard Mall in Wynberg (whichever direction you’re coming from) turn down Wetton Road. Once you get over the railway line (i.e. past the top of the bridge) take the first road to your left (possibly labelled Connaught road) and turn left immediately again. Follow the road past the Rotary, angling and spearfishing clubs on your left, and when it starts to look REALLY ropy take a left under the bridge. Fear not, you’re almost there. Follow the road under the bridge as it bends left to become Belper road. FBUC will be on your left, almost the first set of doors, as you drive down Belper road. On your left you will see a white landrover (and perhaps some other cars) in a seriously dodgy parking area. There’s a FBUC sign above the door. 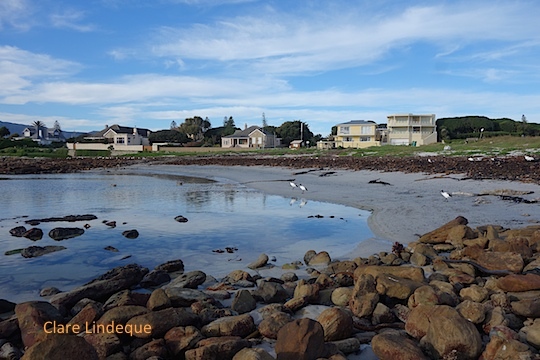 There are also a slipways at Witsand (near Scarborough) and at Buffels Bay inside the Cape Point Nature Reserve, but these are rarely used by dive charters. 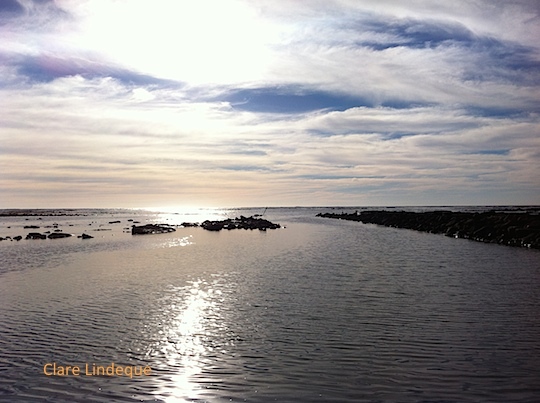 There are a few slipways on the eastern side of False Bay in the Gordon’s Bay area. Peter Southwood has more information on the harbours and slipways here. 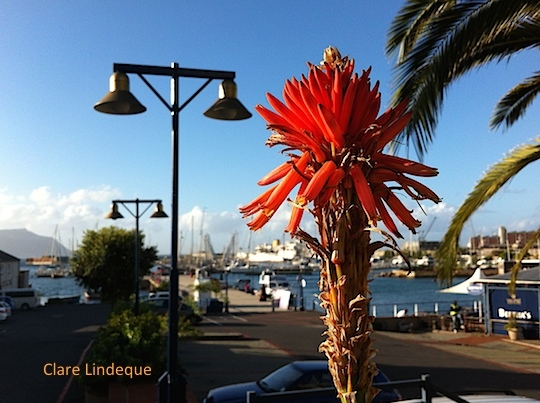 If you are visiting this page to get directions to the Cape Town Dive Festival, please note that it has been postponed to 8-9 September 2012 owing to very bad weather conditions. Visit the CTDF Facebook page for more information. Boat dives in Cape Town are either done from Miller’s Point, Hout Bay, or (less frequently) Oceana Power Boat Club near the Waterfront. Lately some of the dive charters have started a trial membership at the Cape Boat and Ski Club, located on the other side of Miller’s Point to our usual launch site. The idea is that their divers will be able to use the facilities of the club (when they’re open – last time we dived they weren’t!). Here are directions to get to the Cape Boat and Ski Boat Club, for future reference. Note that these directions are identical to the ones explaining how to find the usual Miller’s Point slipway, but at the very last minute you need to go into a different parking area. 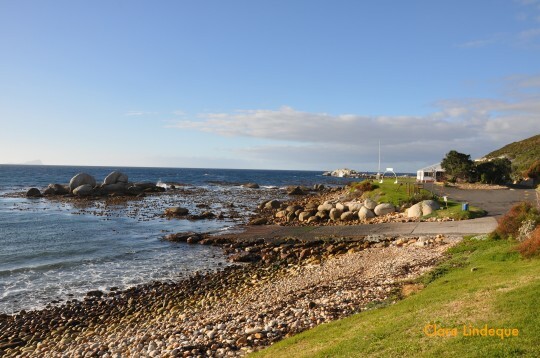 Drive through Simonstown, past the golf course on your left, and the turnoff to Boulder’s Beach. 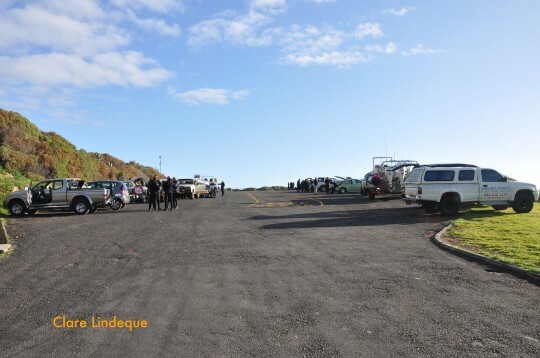 Continue for several kilometres until you see a sign for the Black Marlin seafood restaurant and Miller’s Point caravan park on your left (in the middle of nowhere – no houses or anything). Now keep your eyes open – the Miller’s Point turnoff is the next one on your left, around a corner and over a small hill. Drive in and into the parking area immediately on your right as you enter. The boats park in the upper parking area so don’t go in there. If you had to go through a boom or get stopped by a guard (or suspiciously unauthorised-looking person demanding money) you’re probably in the wrong parking area. Miller’s Point is part of the stamping ground of a large troupe of baboons. They are hilarious to watch, but (especially if you’re a woman) the large males can be a bit intimidating. Keep your car locked, windows closed and sunroof securely shut in order to prevent them from raiding the vehicle for food – they know how to open almost anything, and will get into the car with you if they see the opportunity. DO NOT feed them. There are no ATMs, shops or any other signs of civilisation at Miller’s Point except for the Cape Boat and Ski Boat Club, which contains loos, a shower, and a bar. There is no cellphone reception. You won’t even get a text message through, unless you’re Chuck Norris. That’s a baboon. On my car. 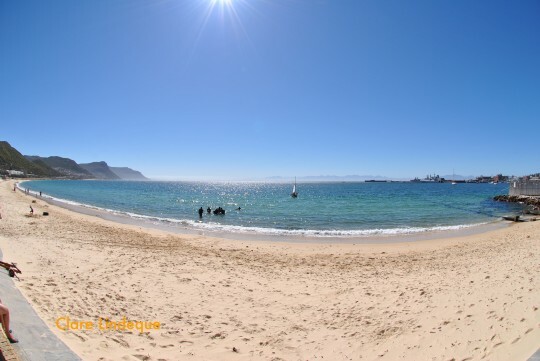 Most of my Open Water training is conducted at Long Beach behind Simon’s Town station. Long Beach is an unassuming little beach with flat, calm waters in even the most unpleasant conditions. This, and the abundance of marine life and artifacts that can be seen beneath its waters, make it very suitable for Open Water students. There are public restrooms and a parking area, both in reasonably good condition. There is usually a car guard of some description at the parking area. 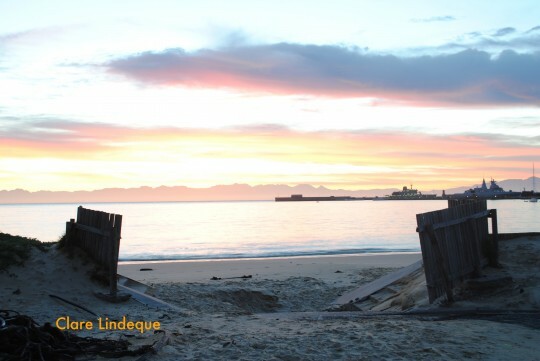 It’s a lovely place to spend a sunny day, and non-divers can play on the beach, snorkel or swim, and enjoy the view of False Bay, the navy harbour, and the mountains. We also sometimes get picked up there by the boat, instead of driving all the way to Miller’s Point to launch. Here’s how to get there… You’re driving roughly south (unless you’re coming from Cape Point) wherever your point of origin, away from central Cape Town. The next large building on the left will be Simon’s Town station. Look out for the large red Station Kiosk sign at the pedestrian crossing. Just after the station is a brown sign for Long Beach, pointing left. Turn left there and follow Drie Gebroeders road down into the Long Beach parking area. Here’s Long Beach on Google maps. That’s the parking area in the middle, the restrooms at the bottom in the middle, and Simon’s Town station near the top. 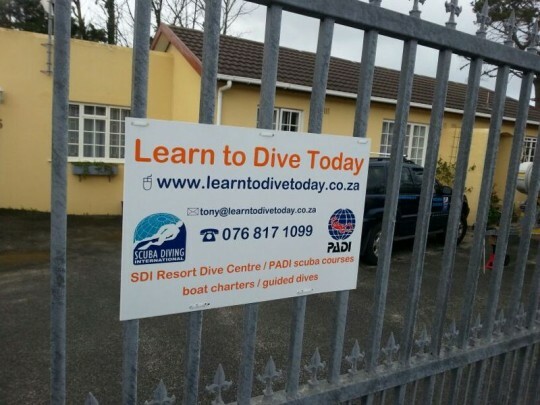 Tony sometimes uses the swimming pool at one of the dive shops in the northern suburbs, Scuba Centre (Shop 1 Tyger Quays, Tyger Waterfront) to do the confined water skills for the Open Water course. Get onto the N1 northbound from Cape Town. Take the Willie van Schoor/Tyger Valley exit number 23 off the N1. Tturn left into Willie van Schoor road. Take the first left into Mispel road. At the T junction, turn right into Carl Cronje drive. Turn left into the Tyger Waterfront. The water-filled quarry should be on your right. Go through the first traffic circle inside the Tyger Waterfront. 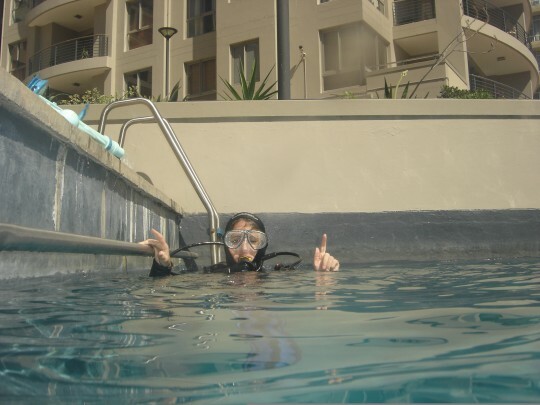 Scuba Centre is on your right – there is parking in front of the shop. Get onto Carl Cronje drive heading south towards the N1. Pass Willowbridge Shopping centre and Tyger Falls. Before you get to the N1, turn right into the Tyger Waterfront. The water-filled quarry should be on your right. Go to item 7 above and continue from there. 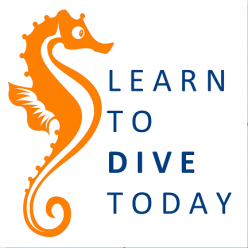 If you learn to dive with Tony (which you should, if you haven’t already) you will do your confined water skills at our pool at our facility in Sun Valley. You might also do a Discover Scuba Diving, Bubblemakers (if you’re a kid), or Seal Team course at the pool. 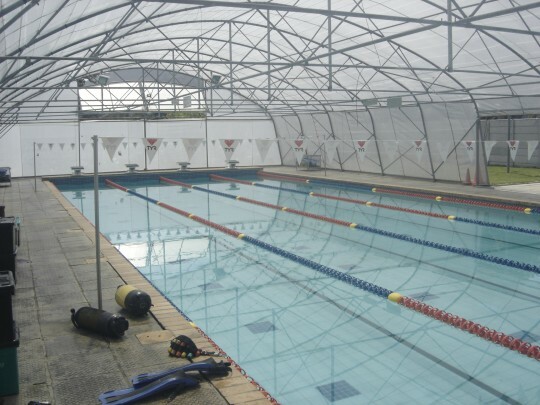 We used to use 2 Military Hospital swimming pool on Wynberg Military Base. It’s indoor, and heated to about 24 degrees. The water quality varies wildly, with visibility from 3-25 metres. 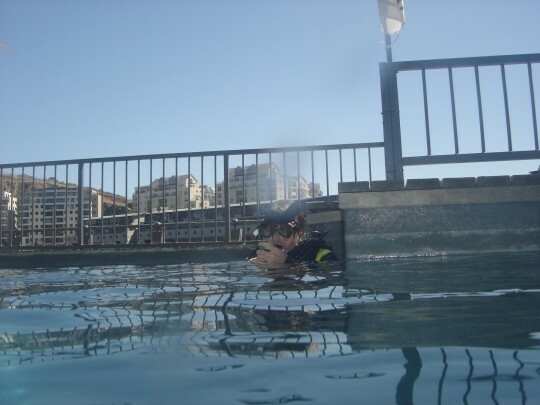 The pool is on the corner of Buren and Scobel roads in Wynberg and is run by SwimLab. Once you’re inside the Military Base, just follow the signs for the hospital. Get onto the M3 towards Muizenberg. At the top of Wynberg Hill take Exit 12, to Trovato Link Road. Follow Trovato Link Road through a set of traffic lights. At the second traffic lights, turn right into St John’s Road. Where the road forks, take the left fork into Camp Road. Turn right into 51st Avenue. Take the first left into Brink Drive. Follow Brink Drive to the T junction with Buren road, and then turn right. Look for Scobel Road on your right – the pool is covered with a domed white plastic cover and will be on the corner. Get onto the Main Road heading towards Wynberg. Turn into Constantia Road from whatever direction you’re approaching from. Go through the traffic circle at the Engen garage, taking the second exit (so you’re still going in the same direction). When you can see the police barracks in front of you (large, unsightly blocks of flats), turn right up Bower Road. At the top of Bower Road, turn right at the traffic lights. At the next set of traffic lights turn left into St John’s Road. Follow the directions from point 5 above.